MiraPrime Aqua-Blok XL is a clear, single component, odorless, water-based, penetrating colloidal silicate liquid primer that integrally waterproofs concrete, mortar and other cementitious structures. Based on scientifically superior inorganic mineral waterproofing technology, Aqua-Block XL penetrates deep into the capillary structure of concrete and mortar to permanently enhance physical properties and the dynamics of waterproofing performance. Exhibiting highly reactive and hydrophilic properties, Aqua-Blok XL quickly migrates through waterways and capillary tracts to chemically react with and convert free water-soluble calcium hydroxide into a dense crystalline network of insoluble calcium silicate hydrate gel within the concrete pore structure. This conversion process purges unwanted chlorides and contaminants from within the concrete matrix, seals and densifies, permanently blocks moisture ingress, reduces moisture vapor emissivity and enhances resistance to aggressive chemical substances. Deep penetration into concrete substrates 2" - 4". Water thin micro-crystalline technology - penetrates fast. Purges/expels embedded chlorides and blocks re-entry. Enhances concrete physical properties - maintains breathability. 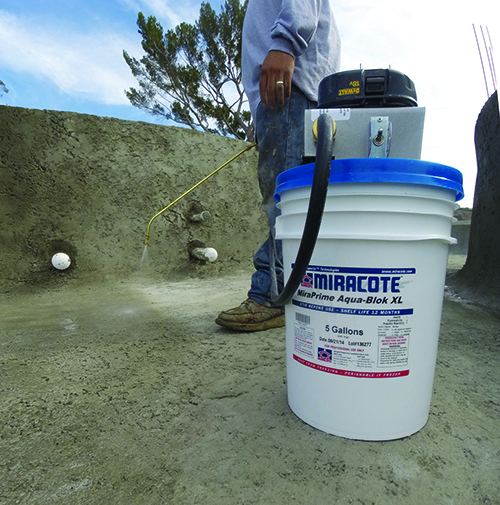 Significantly reduces migration of efflorescence. Application from positive or negative side. Significantly reduces moisture vapor emissivity. Hydrophilic moisture barrier - resists hydrostatic pressures. 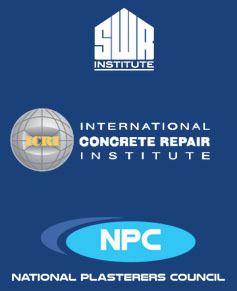 Permanent and self-healing integral waterproofing. Enhanced protection of reinforcing steel to corrosion. Meets USDA standards for non-incidental food contact. Will not sustain mold, mildew or fungal growth. Non-toxic, low odor and environmentally safe. Cures, seals, densifies and hardens new/existing concrete.